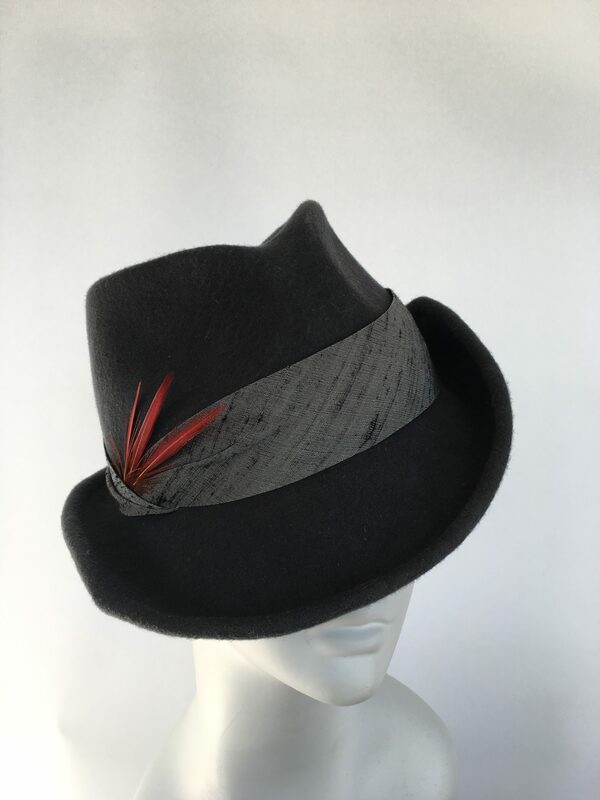 This slate-grey fedora has a unique brim with a slight point on the right front and a tip up on the left, which adds a sophistication and playfulness that cannot be matched! 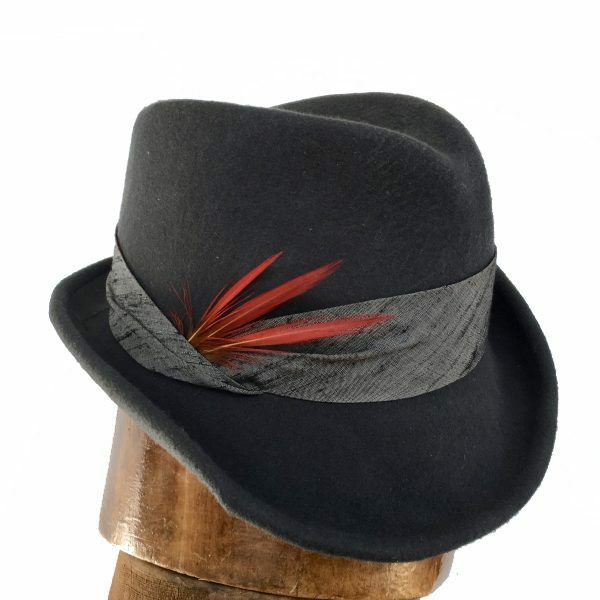 It’s trimmed with a raw silver silk and natural golden pheasant feathers. 23 inch head size with an adjustable band.